As applied to the relationship of institutions such as museums to the Native people of the United States, “decolonization” means, at a minimum, sharing authority for the documentation and interpretation of Native culture. It’s not an easy definition to create as it’s a process determined by the local tribal communities and the history and practice of the decolonizing museum. 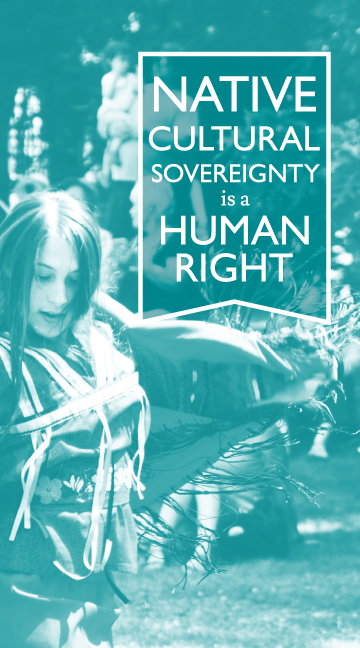 When done properly, each organization will reflect decolonization in different ways. Decolonizing practices at the Abbe are collaborative with tribal communities, privilege Native perspective and voice, and include the full measure of history, ensuring truth-telling. Decolonized museums recognize the potential of museum collections and expertise to be of service to Native communities in many ways: supporting education, community health, economic development, and spiritual practice. Take a few minutes and watch our President/CEO Cinnamon Catlin-Legutko’s TEDxDirigo talk about museum decolonization. Decolonization is the Abbe Museum’s touchstone and guiding principle: it is committed to an ongoing process of better understanding Wabanaki culture, history, and values and examining and changing its practices to assure they reflect those values. This is an emerging concept in museum practice in the United States and the Abbe Museum is deeply committed to work that positively impacts the tribal communities and the museum industry. The Abbe is already a resource and a model that the museum field turns to for ideas, solutions, and strategies for comprehensive museum decolonization and the board and staff will deepen and broaden that commitment. What does a decolonized museum look like? There are aspects of a decolonized museum that are visible to visitors. The principles of decolonization inform how the Abbe builds, understands, and exhibits its collections. They affect who shapes and tells the stories in its galleries and programs. Decolonization is part of the training of all staff, including those who greet and educate visitors, and even determines what is sold in the gallery stores. The major temporary exhibition in 2015, for example, is Coming Home. Many pieces of Wabanaki material culture have ended up in museums far away from the Wabanaki homeland, where it is difficult for community members to see these pieces of their history and culture. Tribal members asked if it would be possible to bring pieces “home” for a while so that community members could study them more closely. Wabanaki community curators worked with Abbe curatorial staff to select and borrow objects from museums in the northeastern United States between Philadelphia and Maine. Throughout the exhibit, community curators share thoughts, ideas, and perspectives about the objects they selected, which broadens the interpretation and enriches understanding. There are also critical pieces of decolonization which are less visible to the general public. At the heart of realizing the Museum’s vision are its deeply-held values, including consultative and collaborative decision-making processes that include Native people at every level of decision-making. This strategic plan calls for development of new models of archaeological and other research, and the Museum’s commitment to green practices reflects the Native values of protecting the resources of the earth. As a “container” that is more than a traditional notion of “museum,” the Abbe undertakes initiatives that are less common in museums, including supporting Native artists in their work and marketing that work. Central to this plan is expanding the annual Native American Festival & Basketmakers Market into a major market for Native artists, which would be the leading market in the northeast. The Museum is also committed to engaging visitors and others in constructive, open dialogue about difficult issues regarding Native cultural sovereignty and how those issues are relevant to broader personal, social, cultural, and political issues.